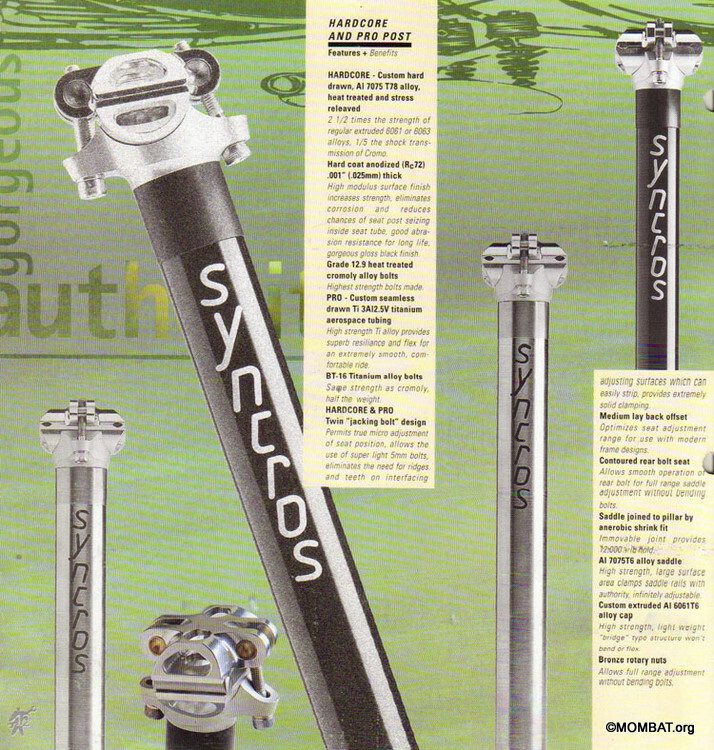 Syncros - oldschoolracing.ch - vintage Mountainbikes race ready! 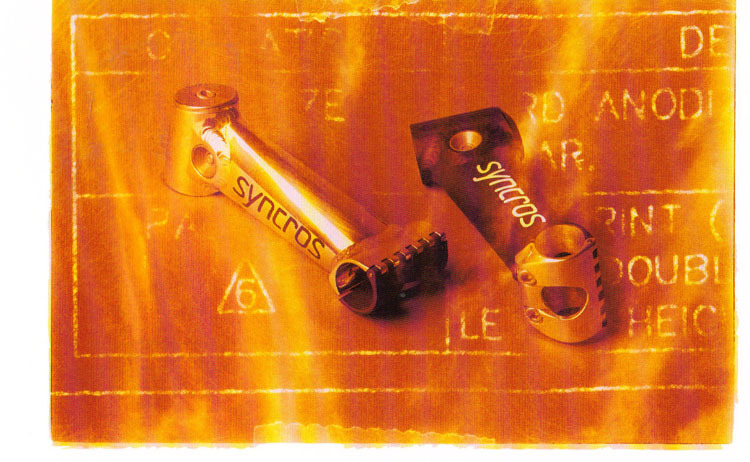 The Syncros brand is founded by Peter Hamilton and Pippin Osborne in Vancouver, BC. 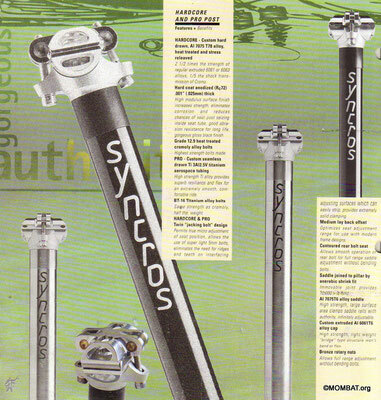 Schwinn Bicycles' parent company (Questor Partners) acquires GT and Syncros comes with the deal. 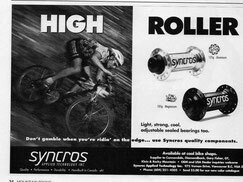 Questor Partners goes bankrupt, and Schwinn/GT Cycling Divisions were sold for $86 million to Pacific Cycle LLC parent company of the Mongoose Bicycles brand. 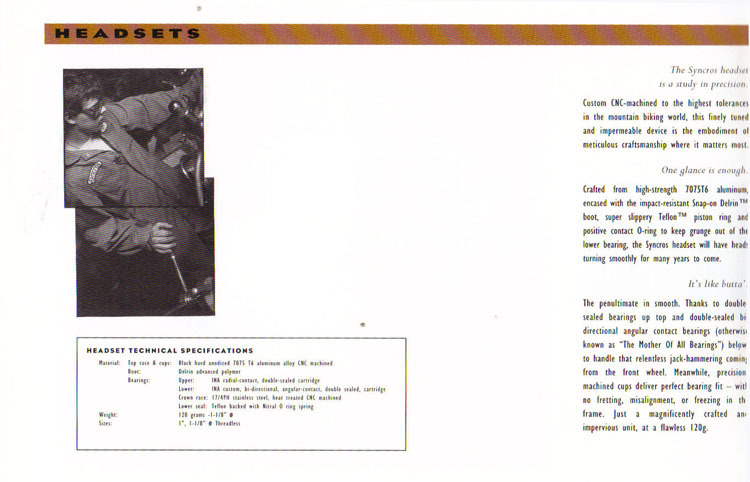 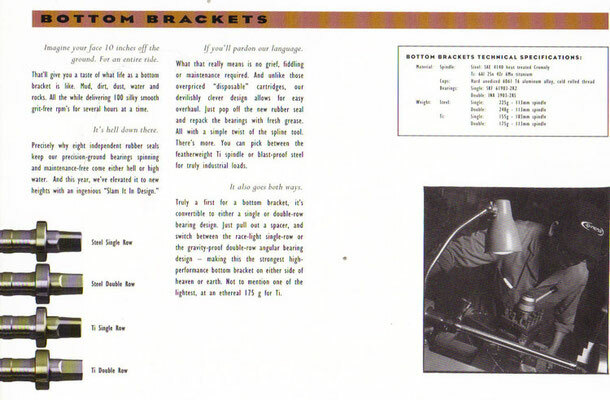 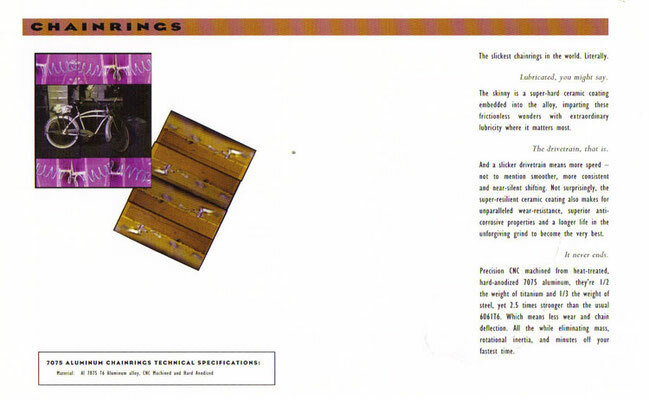 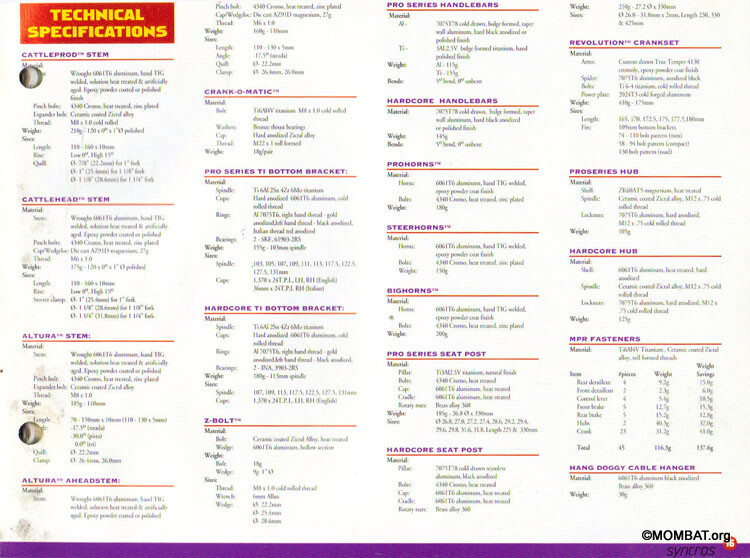 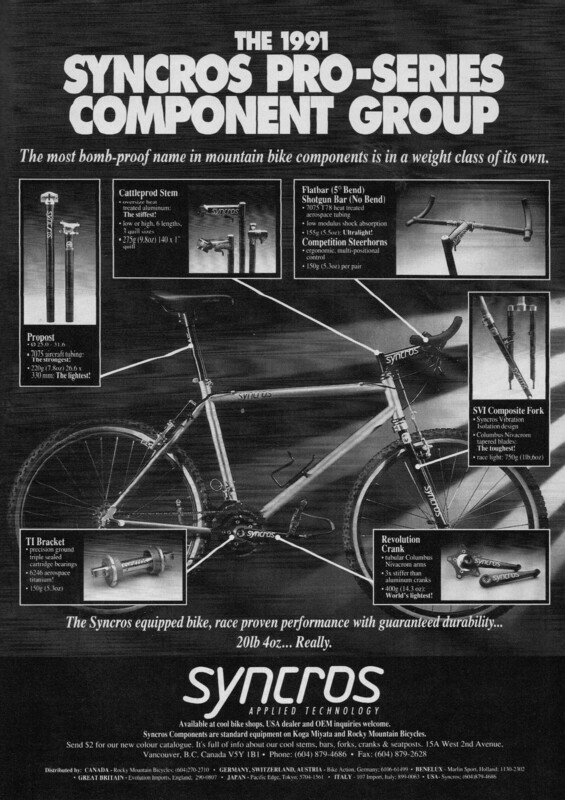 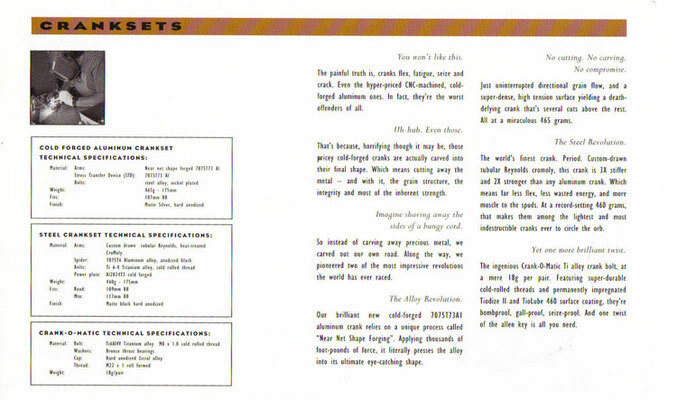 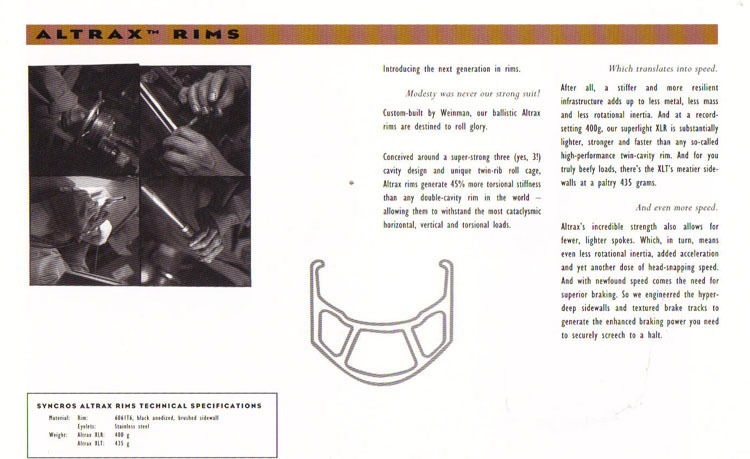 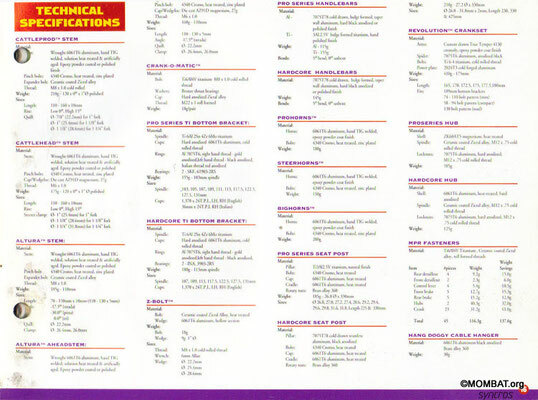 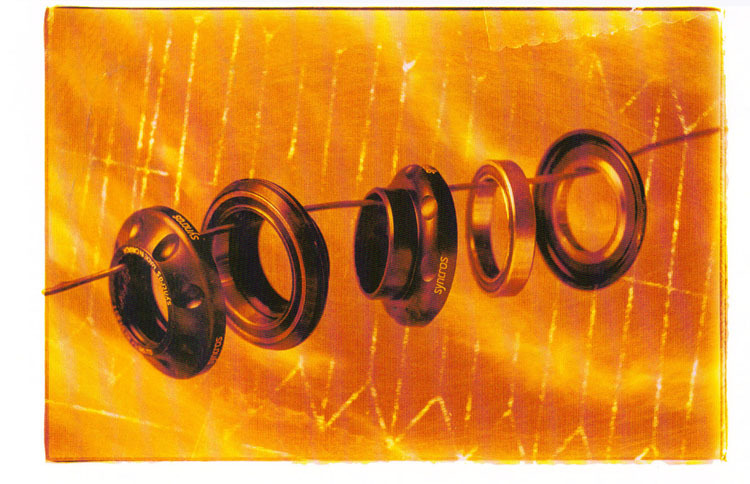 Changes within GT basically eliminated the parts and accessories business causing the Syncros brand to fall dormant. 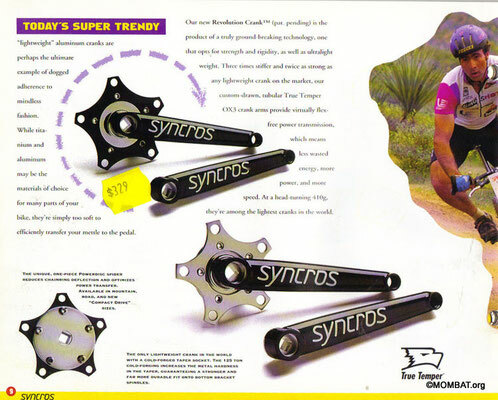 UK-based Super Cycles, owned by Mike Poyzer, picks up the Syncros name when its trademark registration lapsed. 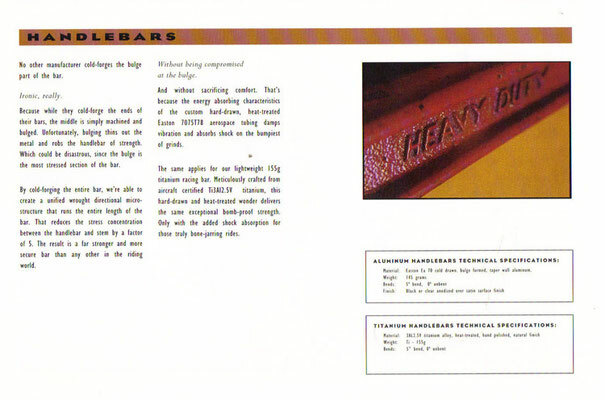 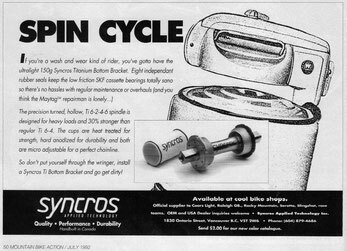 "Super Cycles and Pacific Cycles have announced that their dispute over the Syncros registered trademark has reached an amicable conclusion. Super Cycles have agreed to transfer the mark to Pacific for an undisclosed sum. 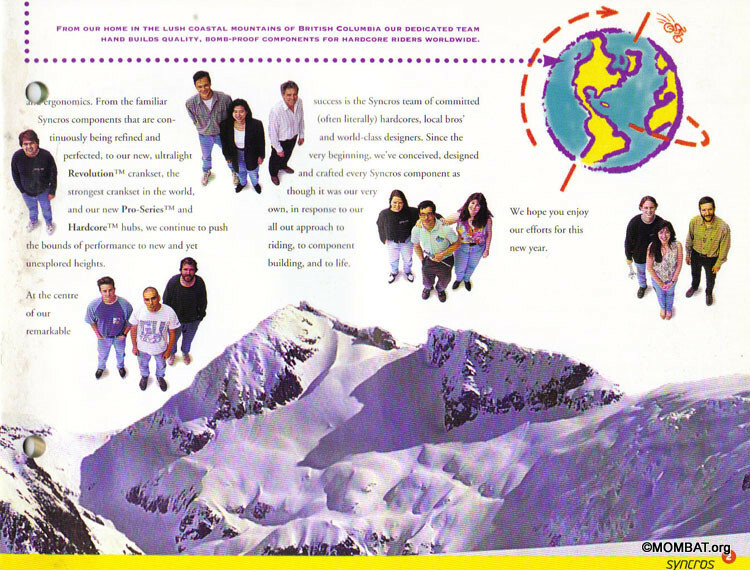 This paves the way for Pacific to continue their planned re-introduction of the brand in 2003 with no further complications. 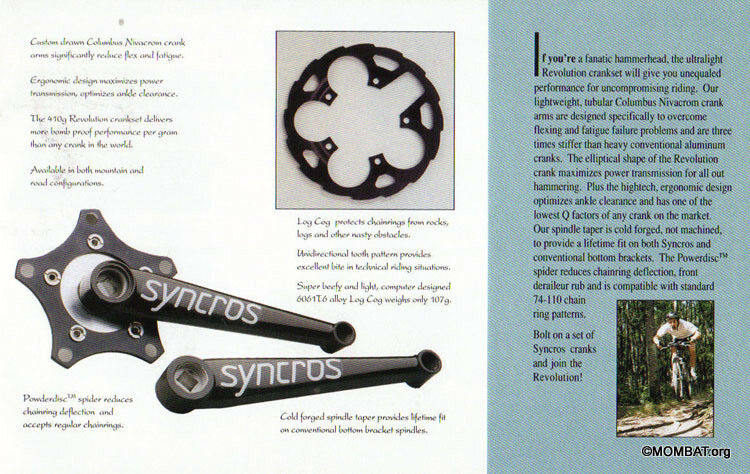 Super Cycles will continue to develop their optimum products range with an alternative registered brand for launch in the spring. 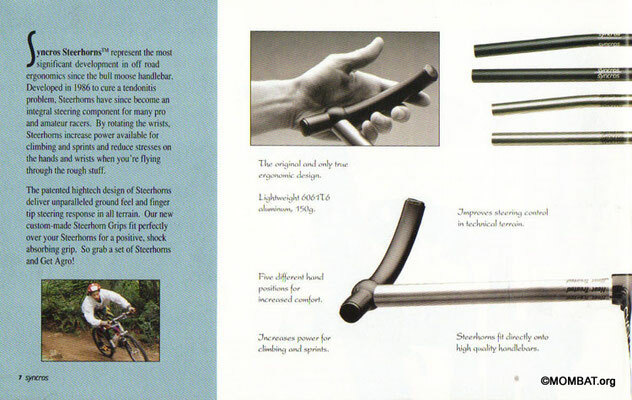 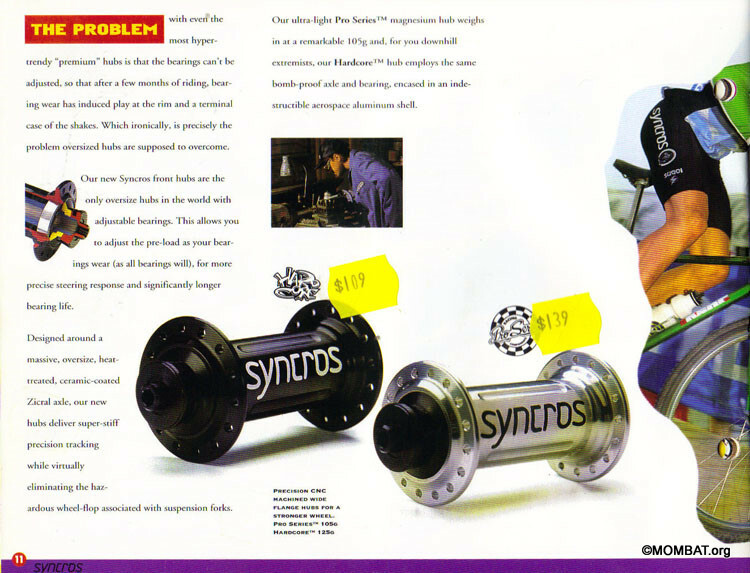 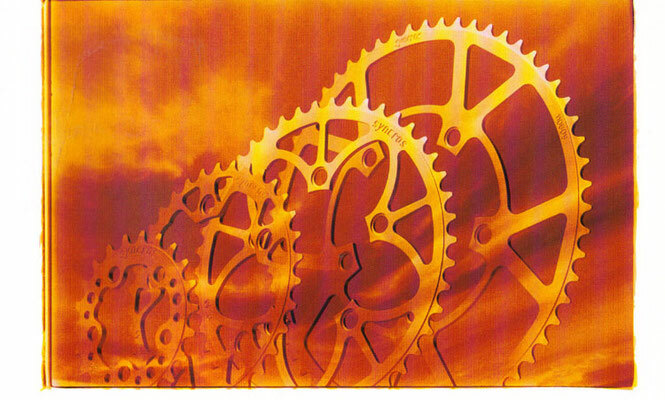 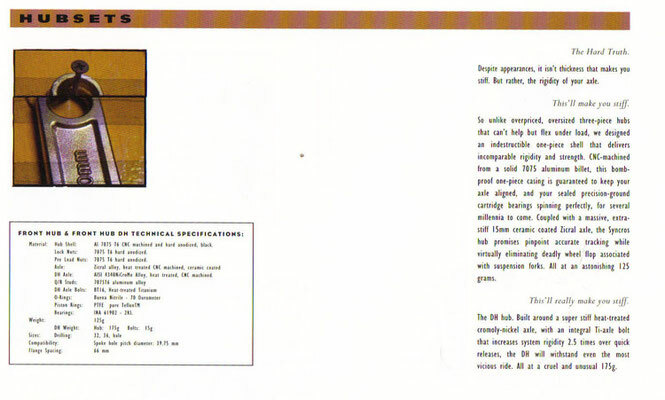 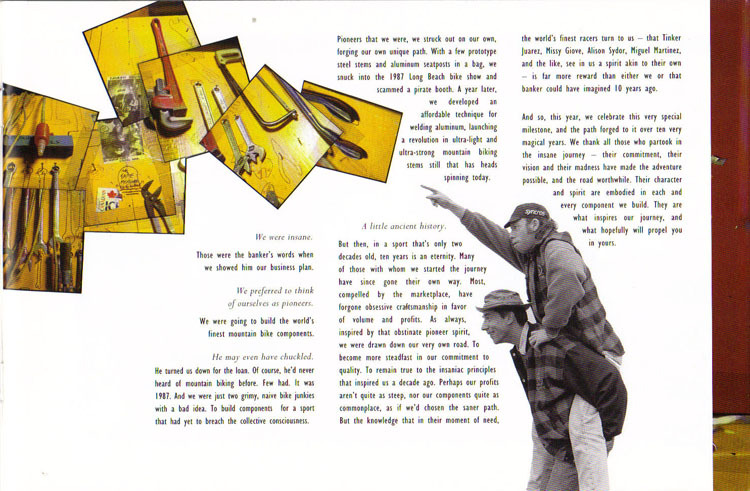 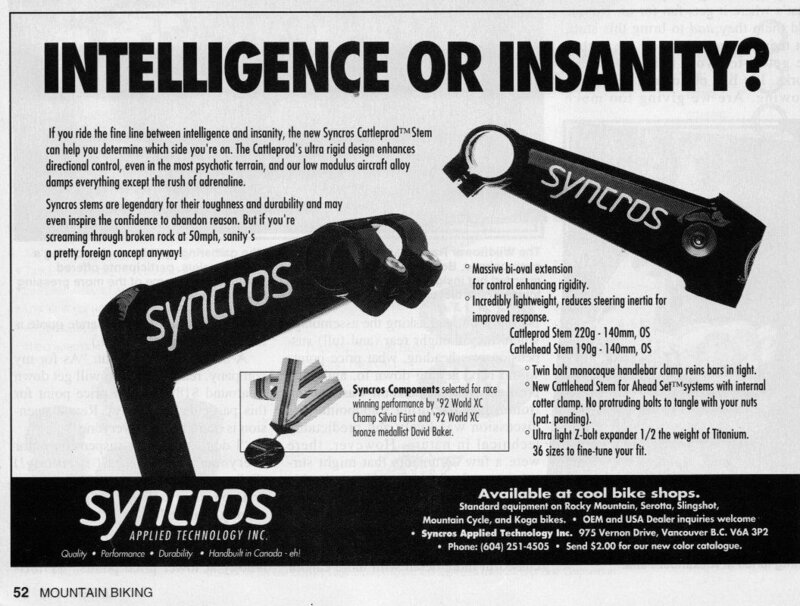 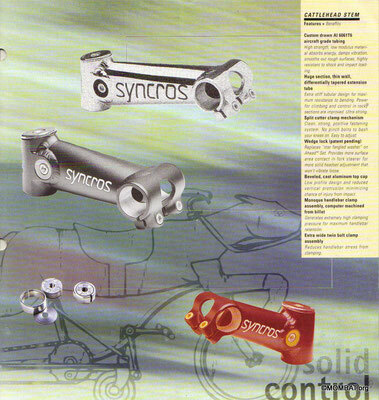 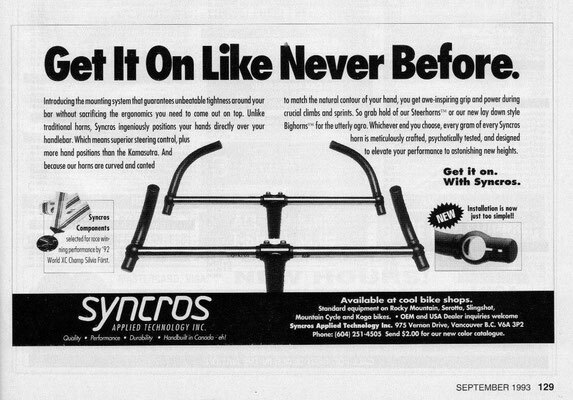 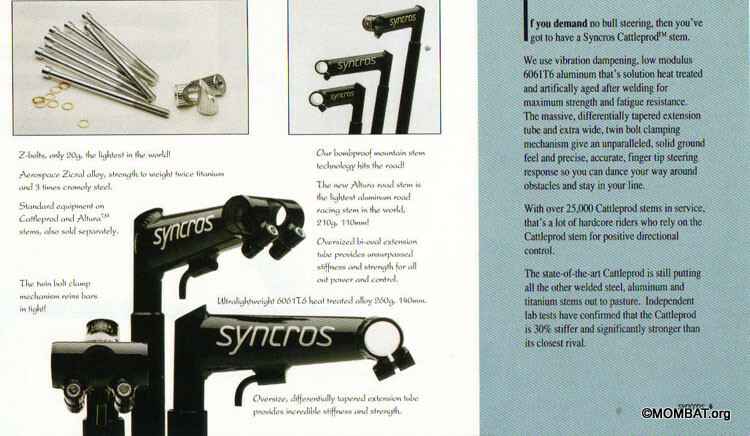 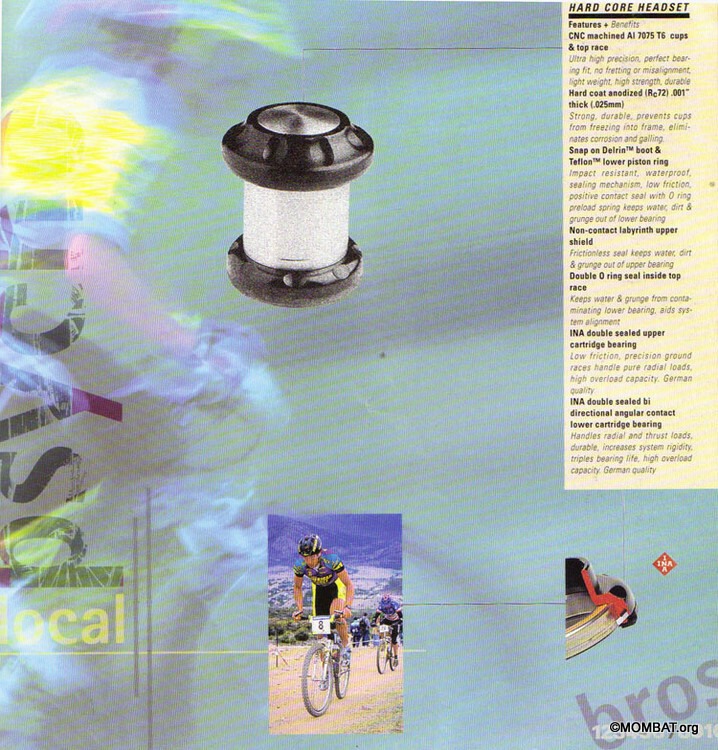 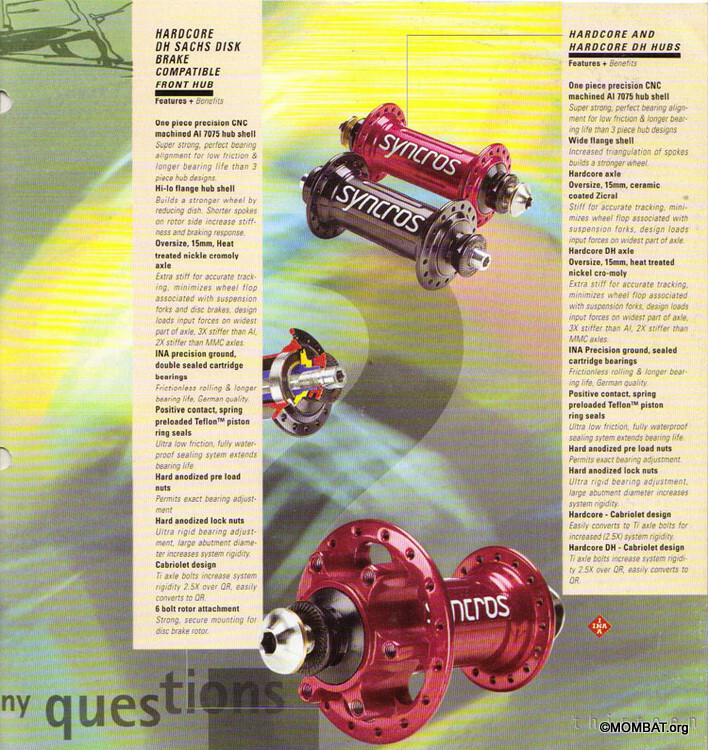 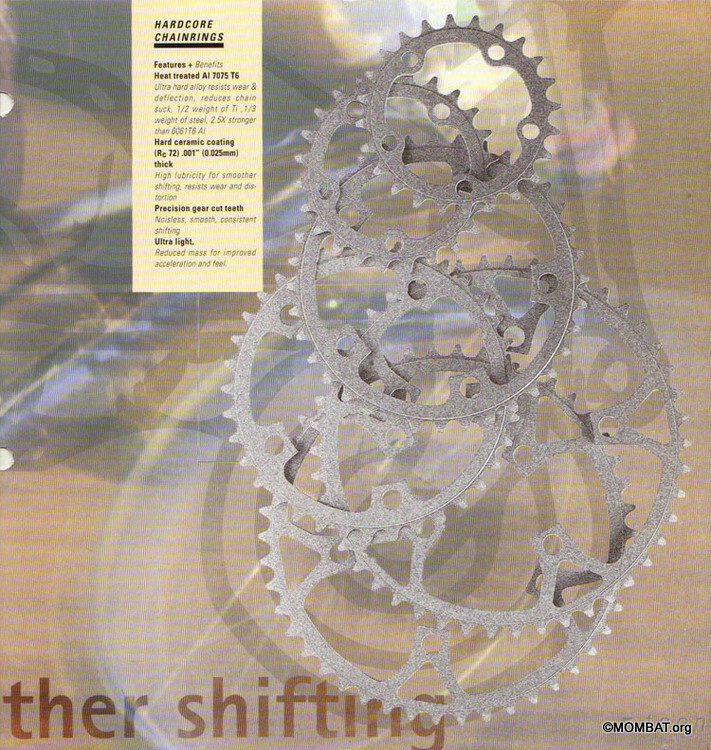 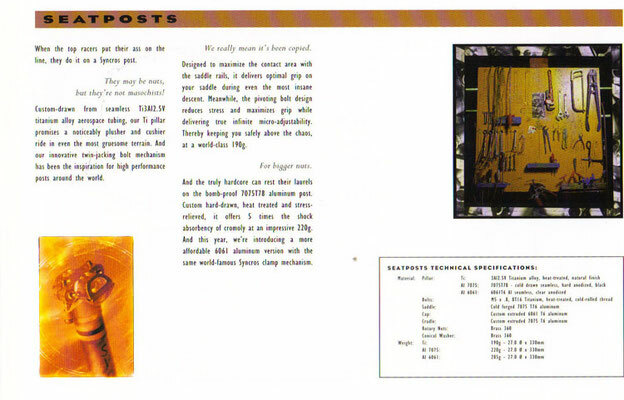 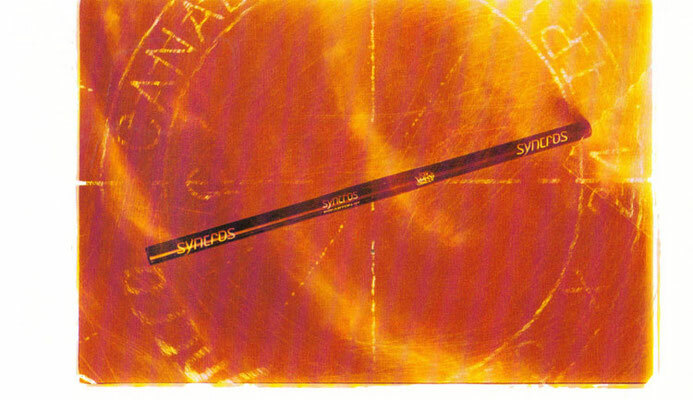 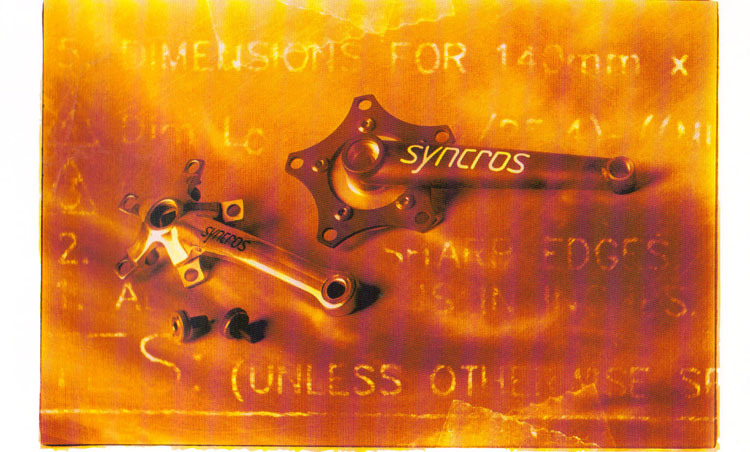 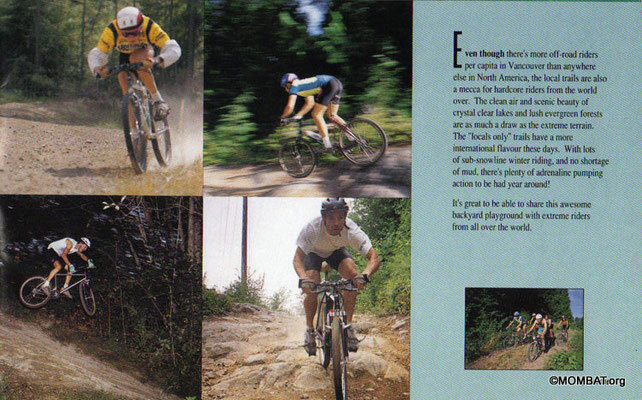 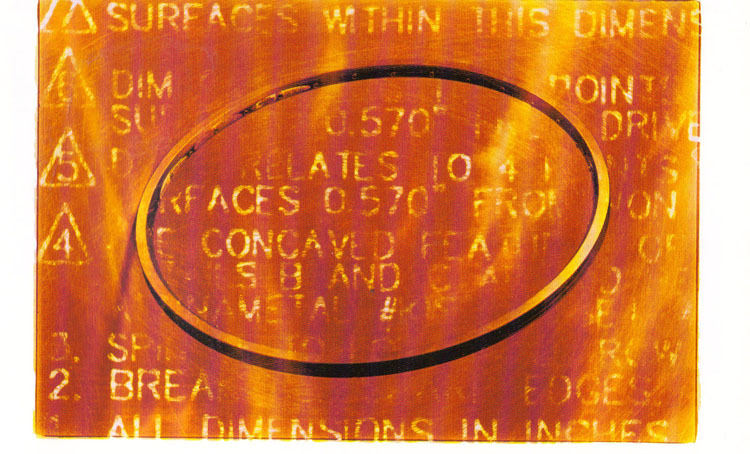 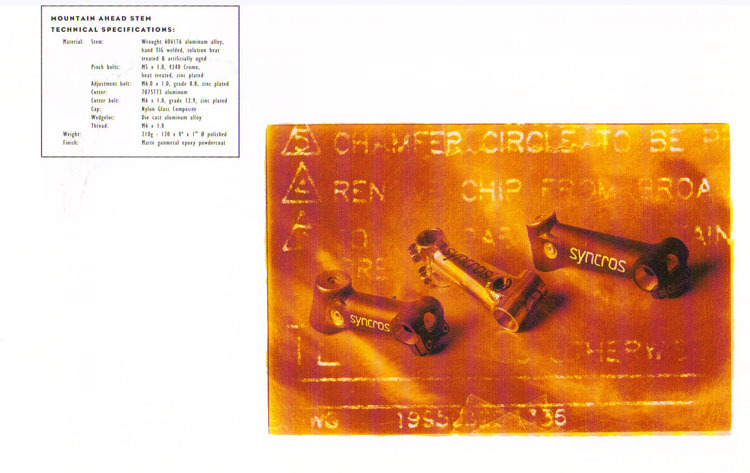 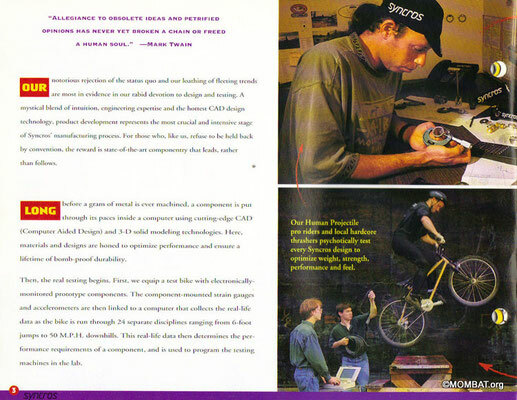 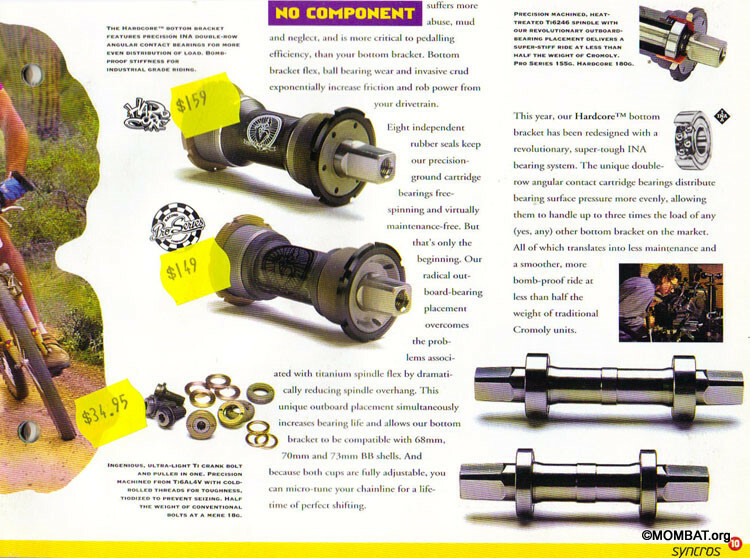 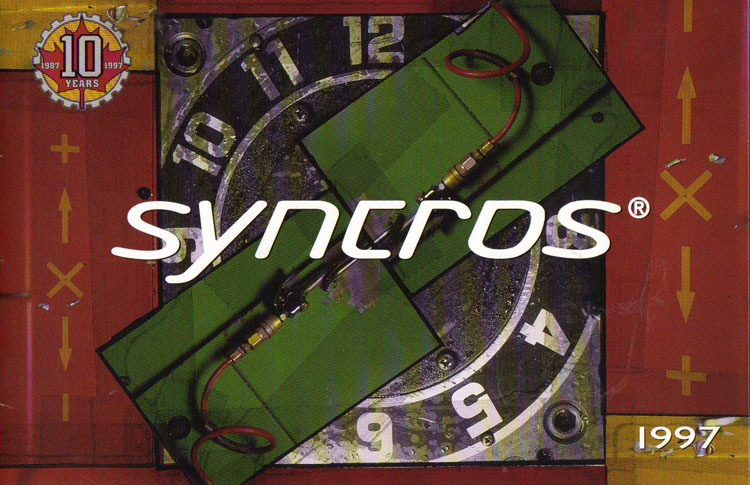 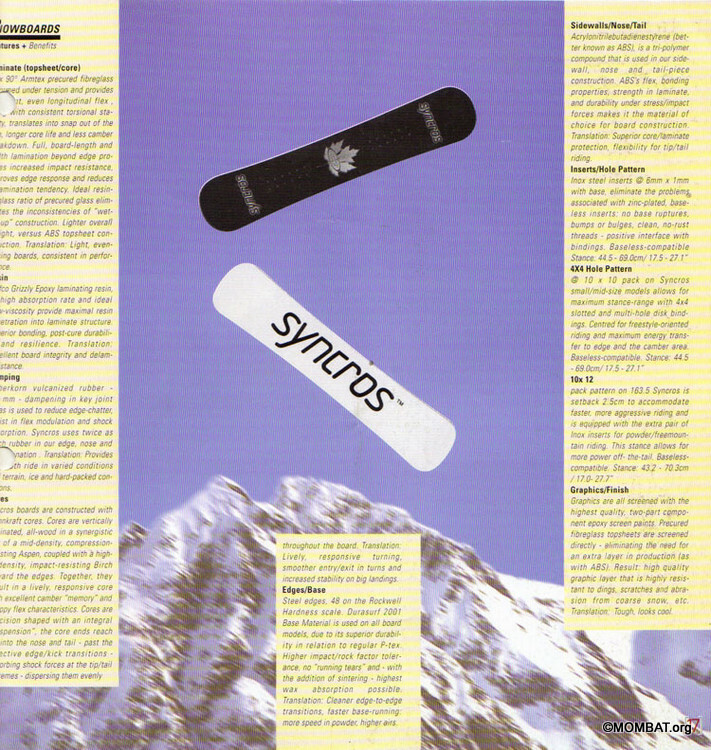 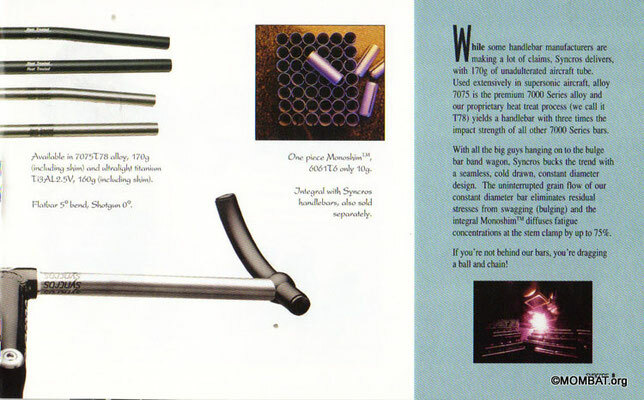 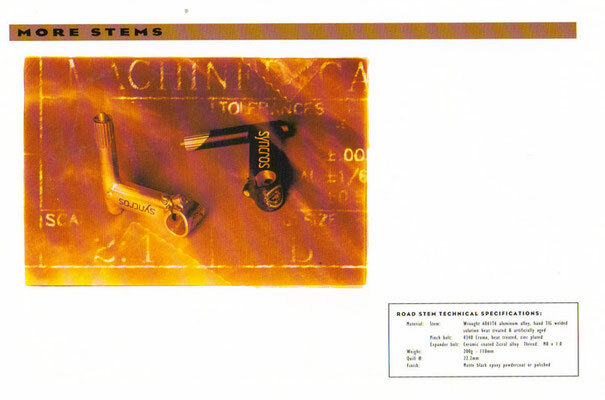 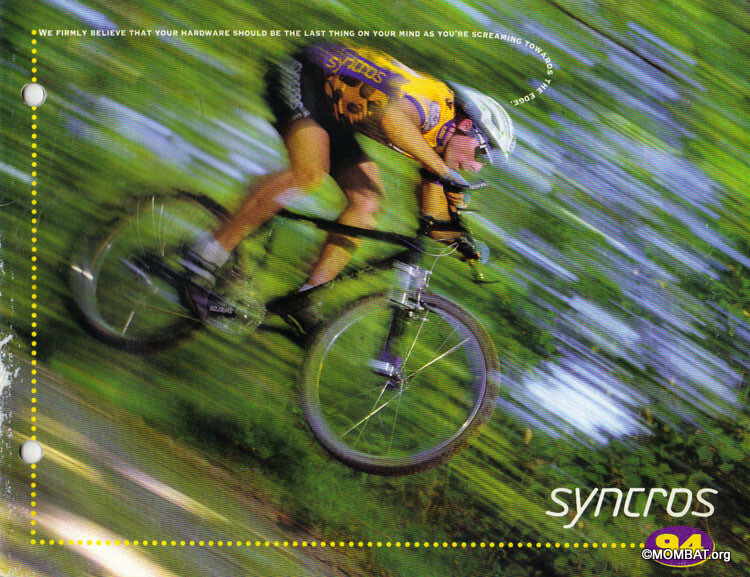 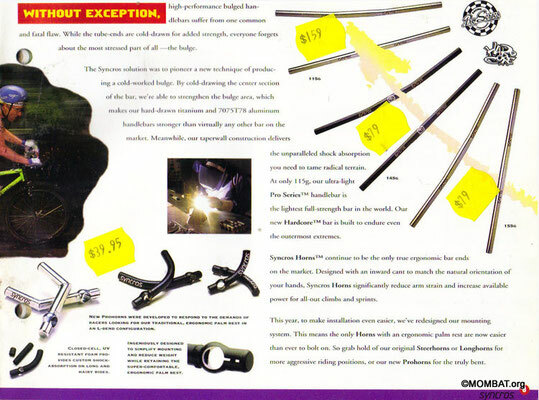 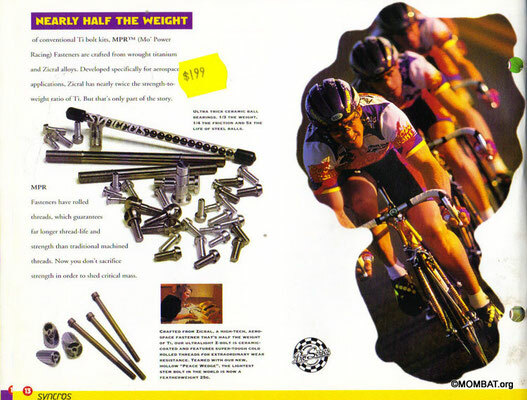 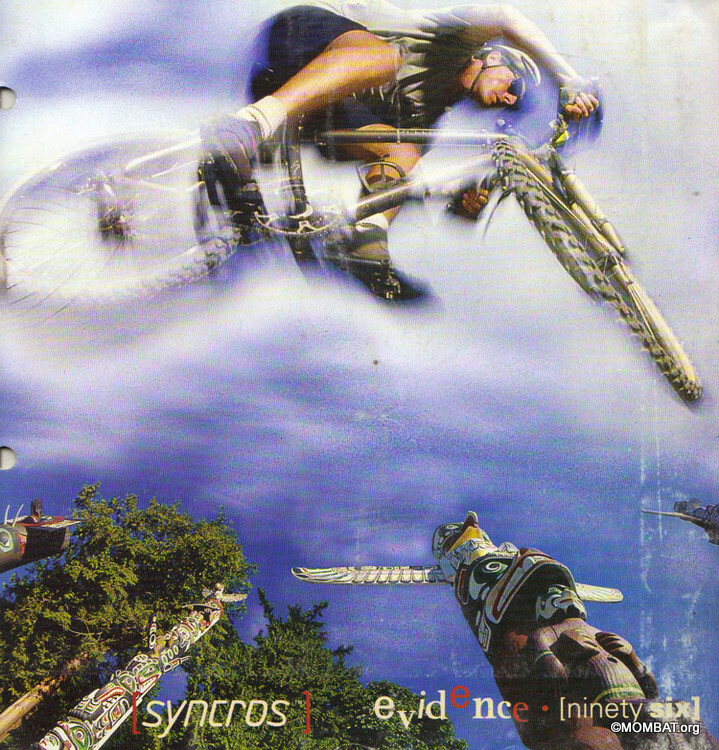 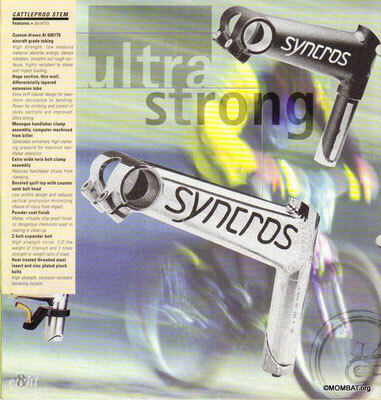 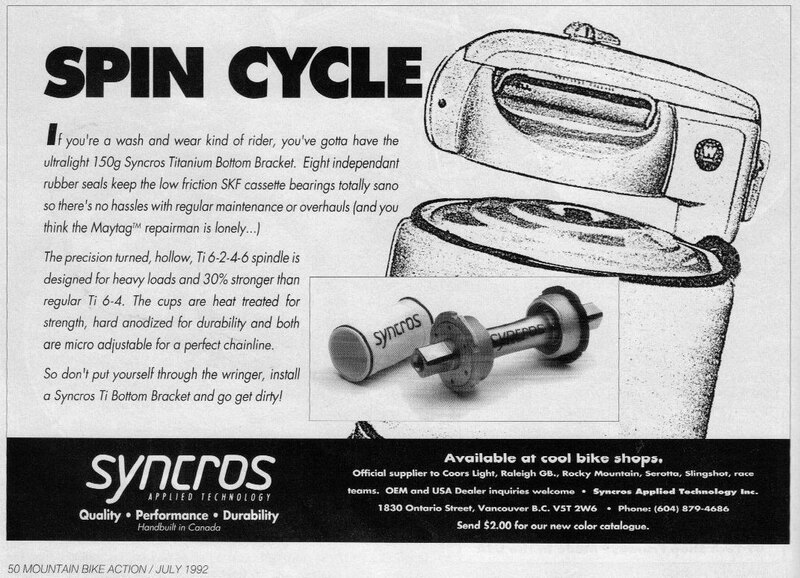 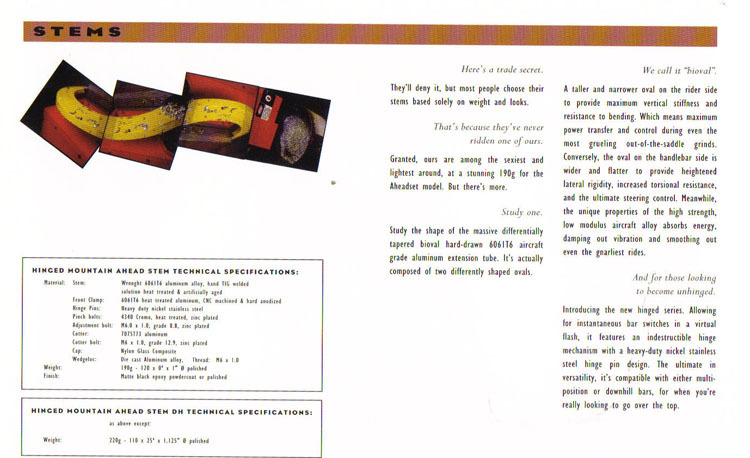 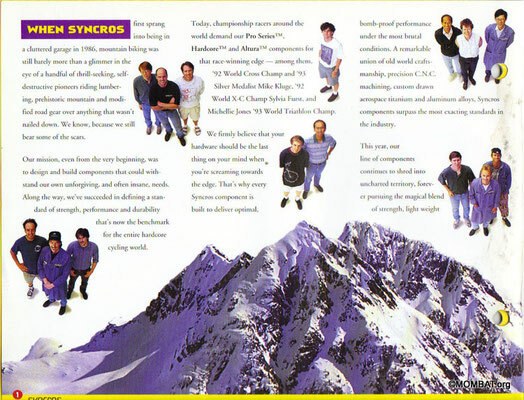 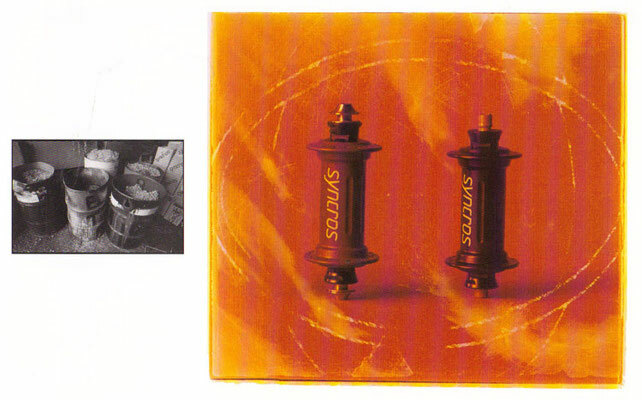 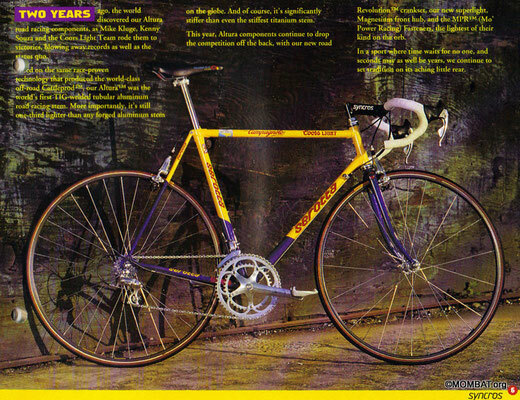 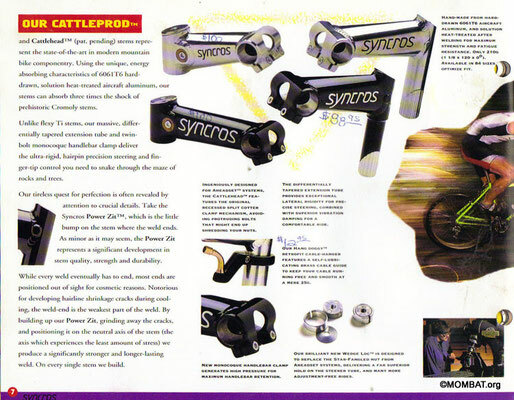 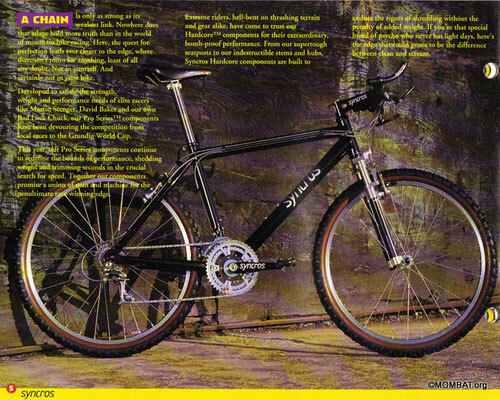 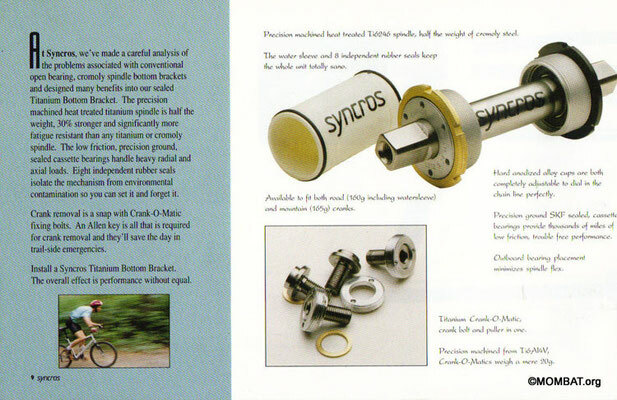 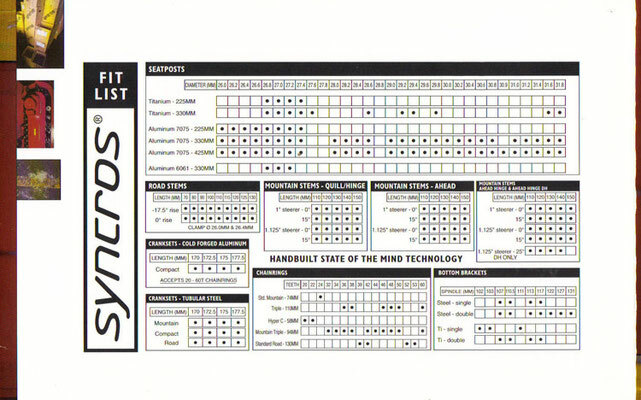 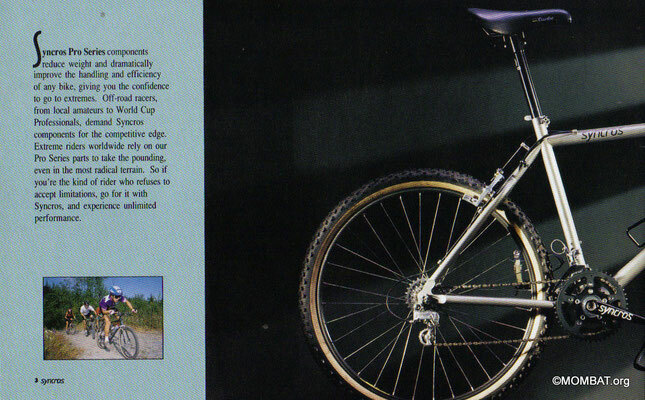 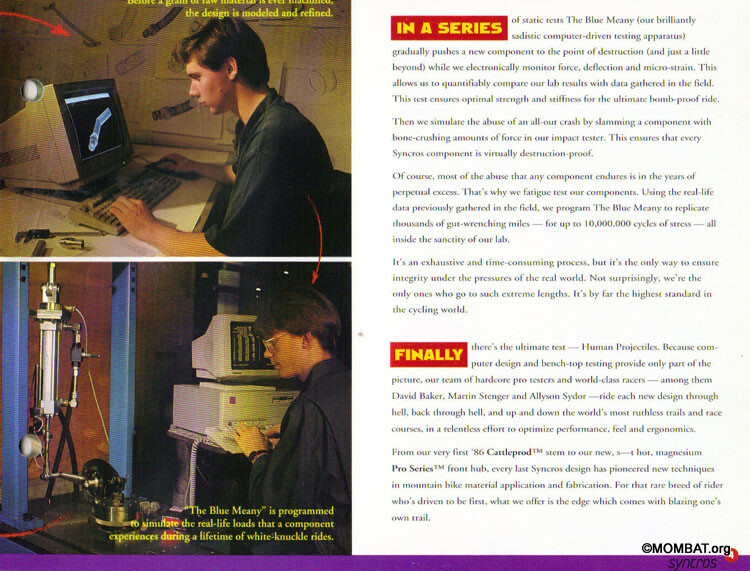 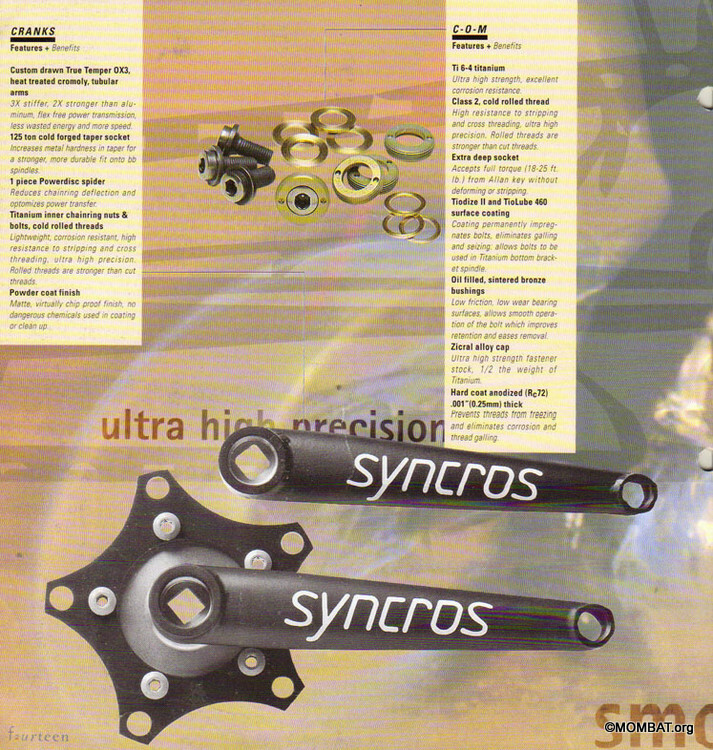 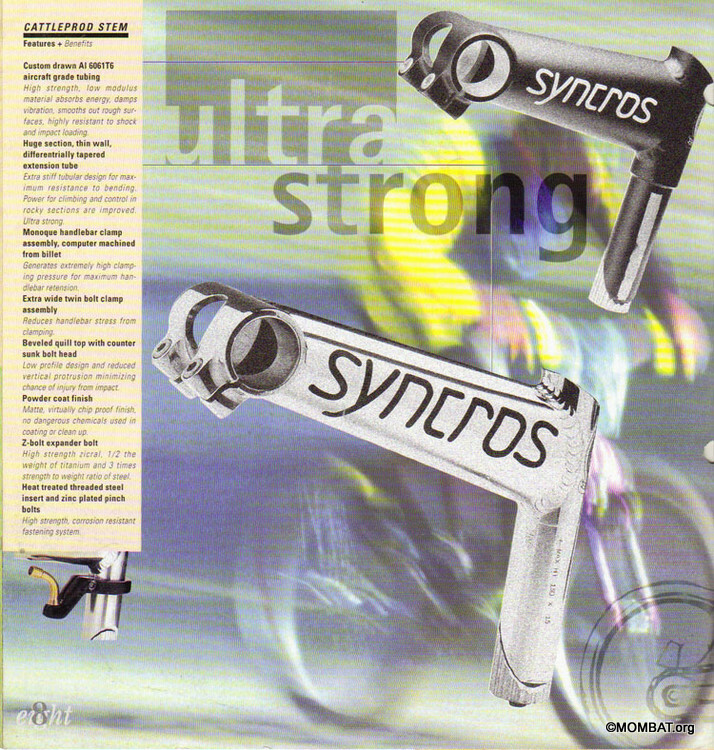 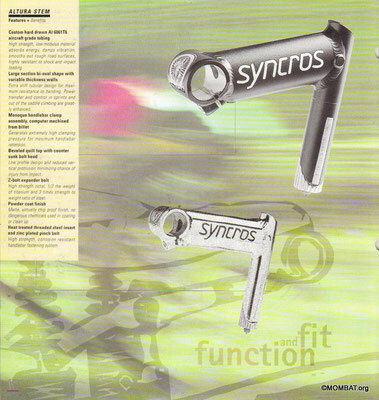 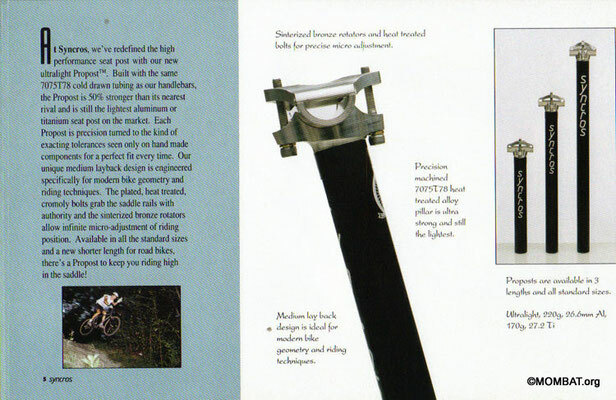 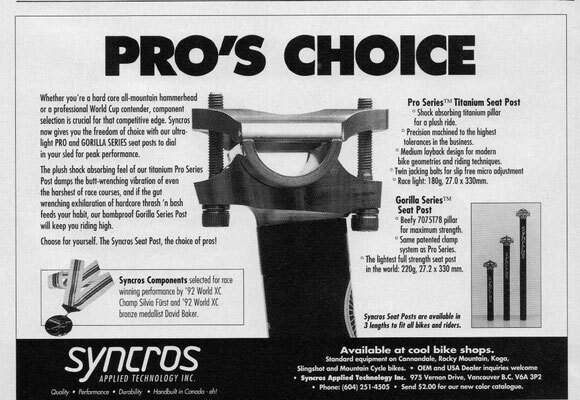 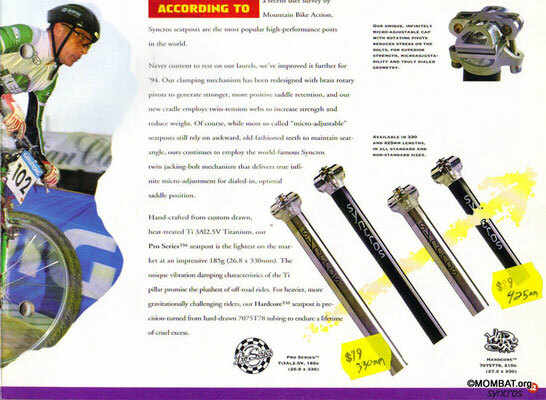 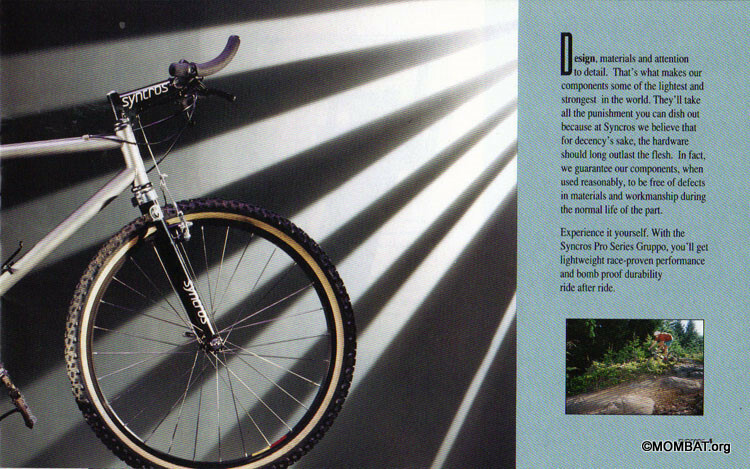 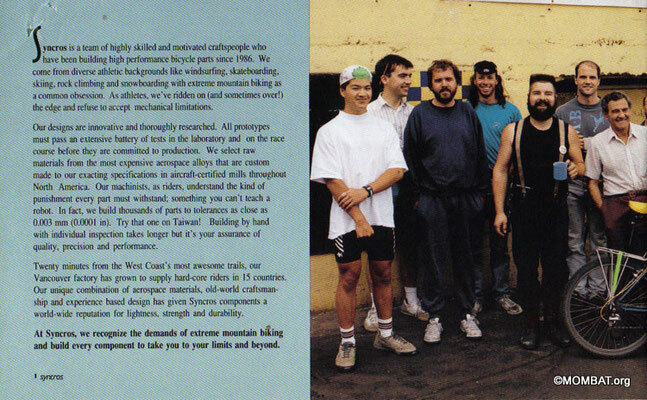 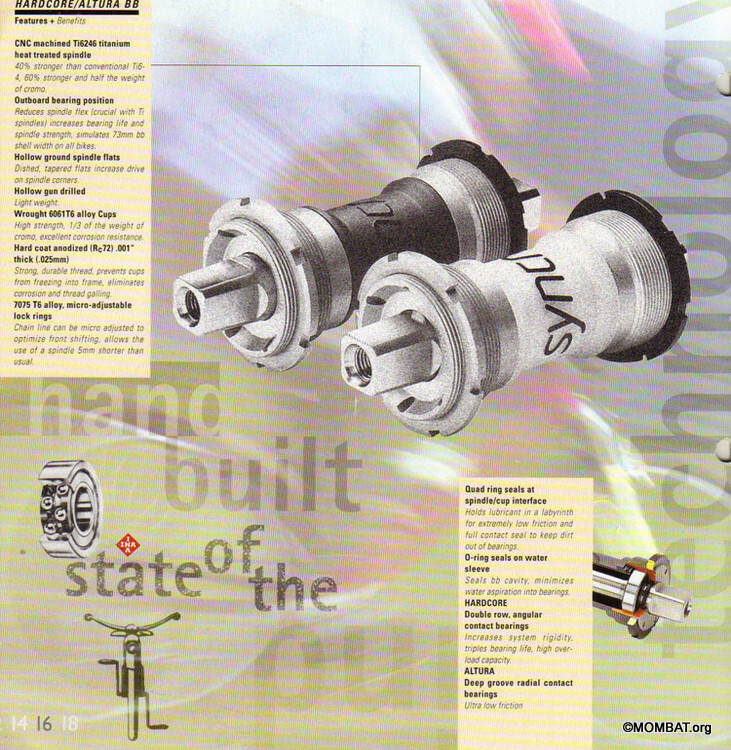 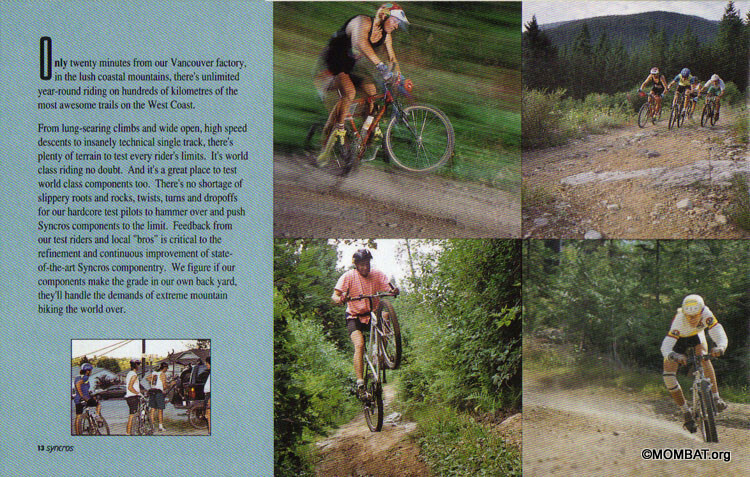 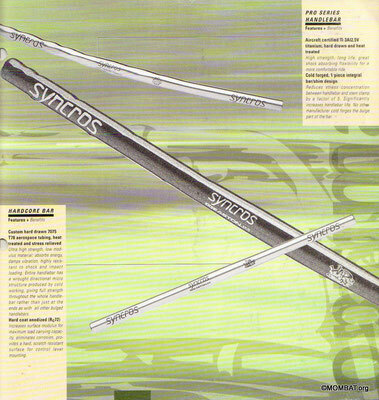 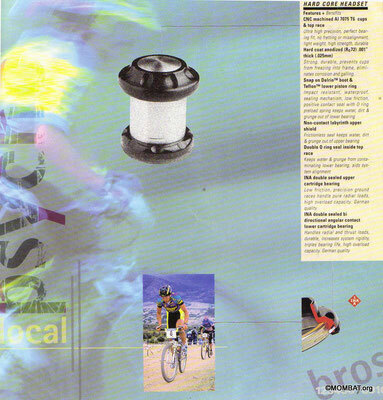 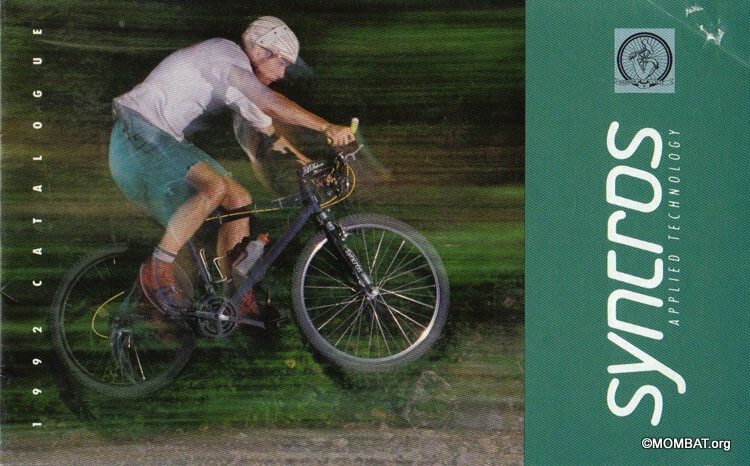 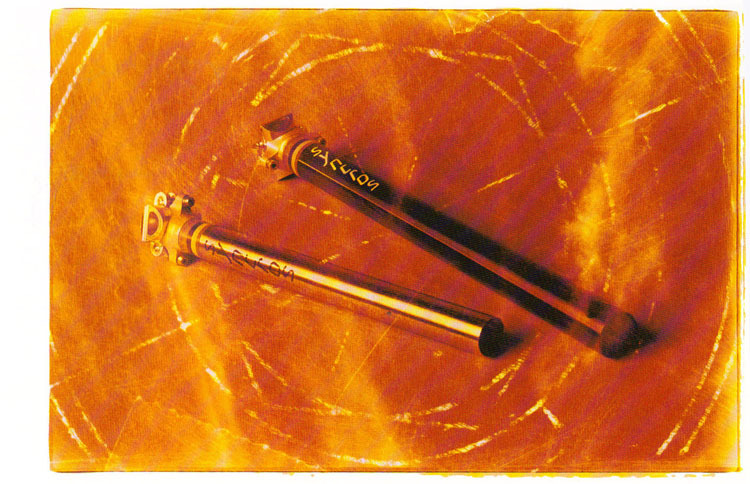 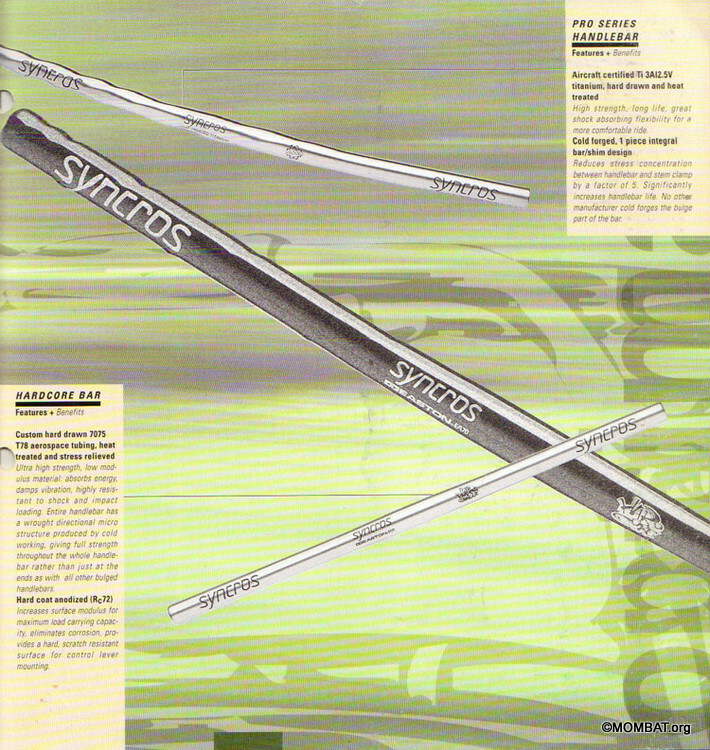 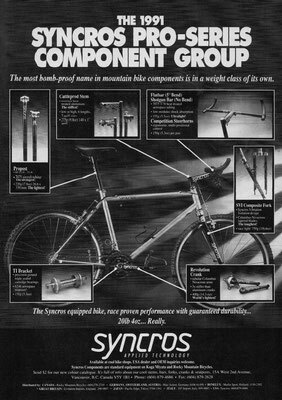 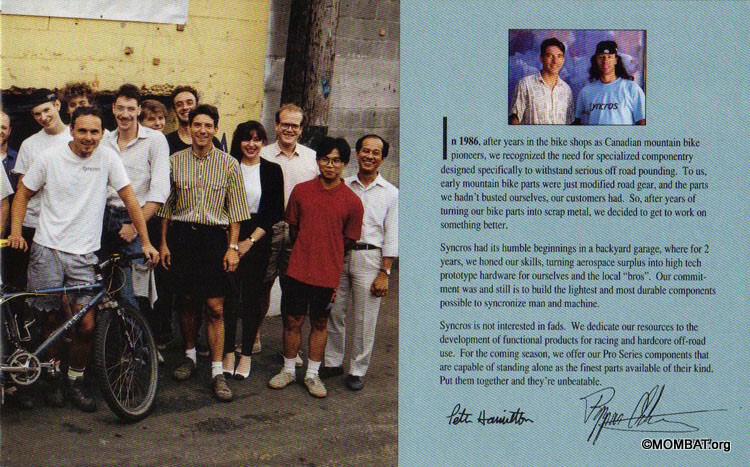 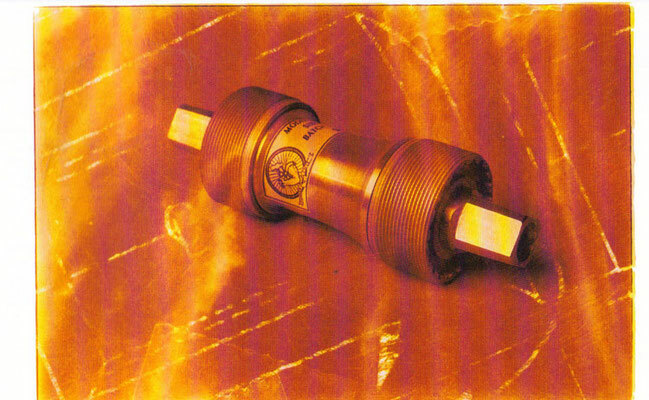 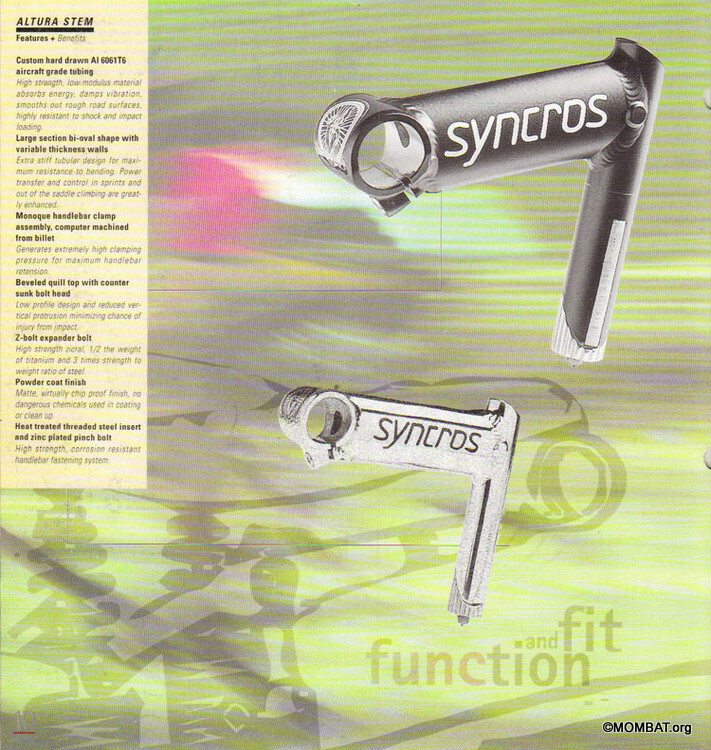 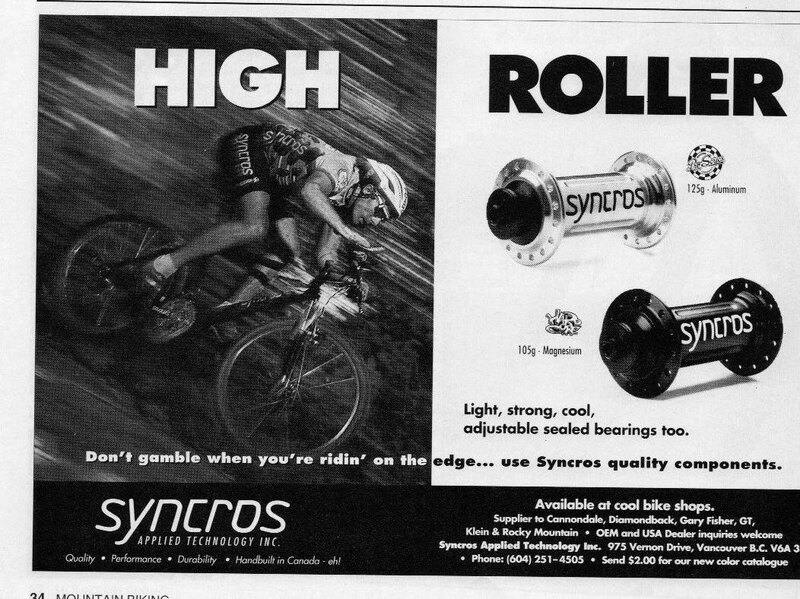 In the fall of 2003, Tom Ritchey buys Syncros from Pacific, and hired Marshall Cant, formerly of Rocky Mountain Bicycles, as brand manager to rebuild the name and product line.